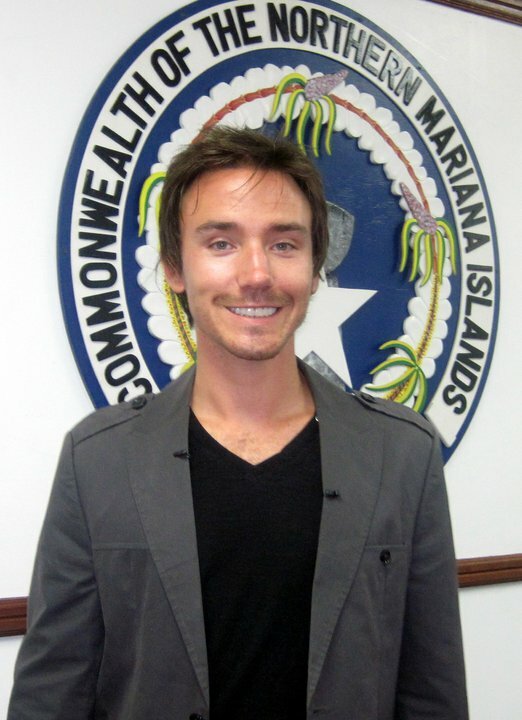 Rob Stewart visited Guam on January 31, 2011 to build support for a shark ban modeled after recently passed legislation in Hawaii and the Northern Mariana Islands. Rob Stewart, director and producer of Sharkwater, is the first Shark Defender to show us his Shark Fin. Want to be next? 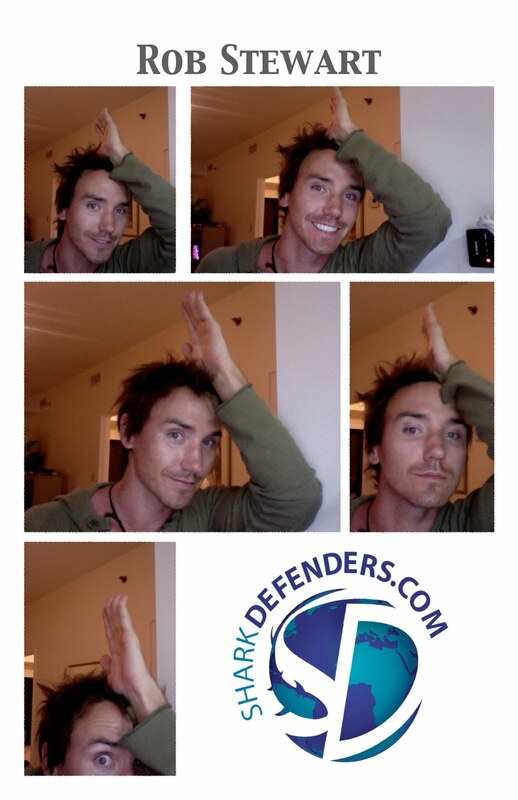 Take a photo of yourself showing us your Shark Fin and post it to the Shark Defenders Facebook Wall, or email it to info@sharkdefenders.com and we'll post it for you. We'll post the best Shark Fins on our blog. Up to 73 million sharks are killed every year -- mainly for their fins, which are used in the Asian delicacy shark fin soup. In the wasteful practice of "shark finning," fishermen slice off the valuable fins of the shark and discard the bodies at sea, where the sharks slowly die. 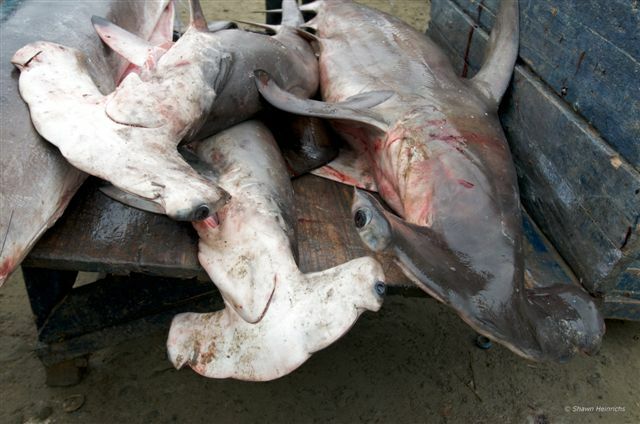 Shark finning is banned in U.S. waters, but it still affects shark populations worldwide. Many sharks now face extinction. Fortunately, we have the opportunity to save sharks in one more part of the world: Guam. But we must act now! A new bill would ban the sale and possession of shark fins in Guam, greatly deterring motivation to practice shark finning in the area. The hearing for this bill is set for Tuesday, February 1. 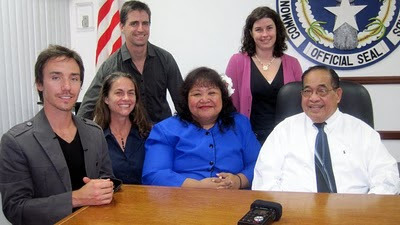 Ask Guam Natural Resources Committee Chair Senator Rory Respicio to support this bill and help save the world's sharks! The 10-year anniversary of the adoption of the International Plan of Action for the Conservation and Management of Sharks (IPOA-Sharks) by the FAO Committee on Fisheries (COFI) is an opportune time to reflect on global progress in managing shark fisheries. 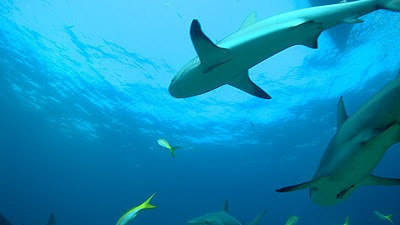 The members of COFI agreed explicitly in the implementation section of the IPOA that all States should strive “…to have a Shark-plan by the COFI Session in 2001,” that “States which implement the Shark-plan should regularly, at least every four years, assess its implementation for the purpose of identifying cost-effective strategies for increasing its effectiveness,” and that “States should report on the progress of the assessment, development and implementation of their Shark-plans as part of their biennial reporting to FAO on the Code of Conduct for Responsible Fisheries.” (FAO 1999) None of those elements of the IPOA-Sharks have been properly implemented. such as the Convention on International Trade in Endangered Species of Wild Fauna and Flora (CITES), regional fisheries management organizations (RFMOs) and shark catching countries and entities has been prompted by increasing international concern about shark stocks as a result of a growing body of evidence that many shark species are threatened and continuing to decline because of unregulated fishing. This report assesses the nature and extent of management measures in place for sharks by the Top 20 “shark catchers” identified from shark catch data provided to the FAO. 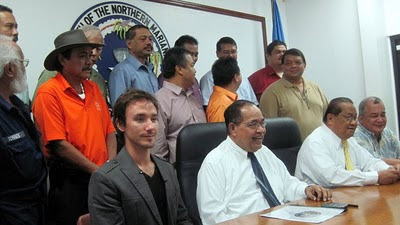 UPDATE: The Guam shark fin ban was signed into law on March 9, 2011. Thank you for all your support. TESTIMONY IS NO LONGER NEEDED. Earlier this week, Guam Vice Speaker BJ Cruz and Guam Natural Resources Committee Chair Senator Rory Respicio introduced Bill No. 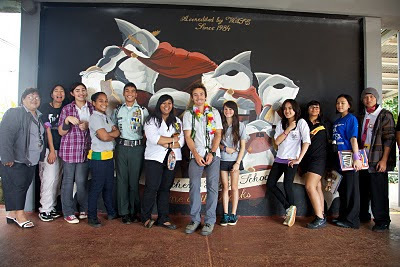 44-31, banning the sale and possession of shark fins in Guam. 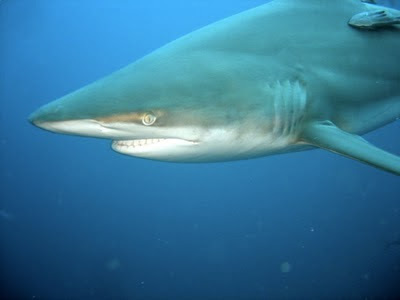 This action follow’s the passing of a similar measure in the Northern Mariana Islands, and a total ban on shark products in Hawaii that went into effect in July 2010. A hearing for Bill No. 44-31 is set for Tuesday, February 1, AND SHARKS NEED YOU TO SUBMIT WRITTEN TESTIMONY ON THEIR BEHALF. 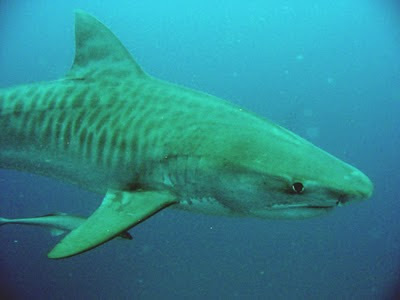 It does not matter where you live, the shark fin trade is a global problem and it effects shark populations worldwide. 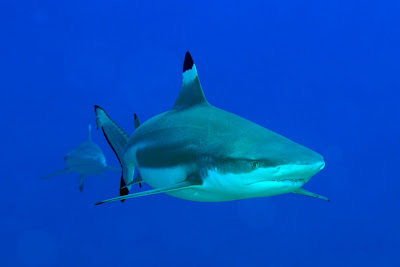 PLEASE WRITE A SHORT LETTER OR EMAIL IN SUPPORT OF GUAM’S SHARK FIN BAN. E-MAIL YOUR LETTER TO INFO@SHARKDEFENDERS.COM AND SHARK DEFENDERS WILL INTRODUCE IT AT THE HEARING. CAN YOU HELP US GET LETTERS FROM 50 COUNTRIES? 5. A request to “please pass Bill No. 44-31 with no weakening amendments. 6. Why not finish your letter saying something nice about Guam and the Pacific? 1. The IUCN Shark Specialist Group has found that 1/3 of all shark species are threatened or near threatened with extinction. Another 50% of species do not have enough data to determine their conservation status. 6. Or maybe you have your own reason for wanting to protect sharks? Thank you for introducing Bill No. 44-31, banning the sale and possession of shark fins on Guam. My name is Joe Smith and I live in Australia. I am an accountant by trade, but I am also an avid scuba diver. When I am diving, there is nothing more exciting to see than a shark. I’ve been diving for years, and I can tell you that there just aren’t as many sharks in the water as there used to be. Your shark fin ban is visionary and serves as a model for my country to follow. I urge you to pass Bill No. 44-31 with no weakening amendments. I actually visited Guam as a child, and now I hope to come back one day and dive with your sharks. EMAIL YOUR LETTER TO INFO@SHARKDEFENDERS.COM. AND MORE IMPORTANTLY, PASS THIS MESSAGE ALONG TO OTHERS AND HAVE THEM SUBMIT TESTIMONY. Guam has become the second US protectorate to introduce legislation banning the sale and possession of shark fins. The introduction of Guam Bill No. 44-31 comes on the heels of the a shark fin ban passed by the legislature of the Northern Mariana Islands last month, and a total ban of all shark products in Hawaii that went into effect in July 2010. Vice Speaker Benjamin J. F. Cruz and Senator Rory Respicio introduce Bill No. 44-31 (COR) to prohibit the trading and selling of shark fins and ray parts. Senator Respicio, Chairperson of the Committee on Human & Natural Resources adds, “Federal legislation has also been enacted to protect these marine resources. The Shark Conservation Act, requires US fishing vessels to land sharks whole thereby preventing illegal importation and transshipping of fins.” Bill No. 44-31 (COR) makes local enforcement possible if this bill becomes law. “In effect, Bill No. 44-31 (COR) curbs the shark fin industry by prohibiting the product,” states Senator Cruz. Here's a shark you don't get to see every day. Steve Rogers sent in this photo of a broadnose sevengill shark (Notorynchus cepedianus) off the coast of South Africa. This photo will be added to the Explore the Ocean layer of Google Earth. Look at how far forward his big eye is. And how far back is his dorsal fin? Great photo! 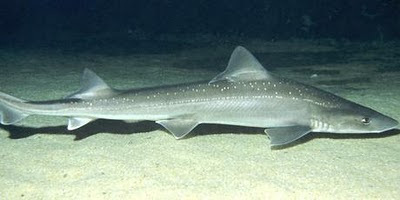 The broadnose sevengill shark is assessed as Data Deficient by the IUCN Red List. 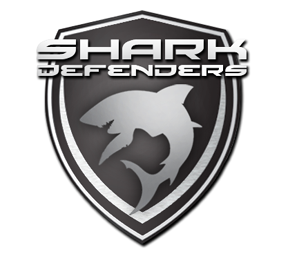 Shark Defenders is dedicated to creating shark sanctuaries and supporting the proper management of shark and ray species worldwide. 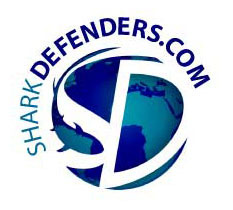 Follow us on Facebook and Twitter and take the Shark Defenders Pledge. Last week's arson of a boat owned by a shark tour company is drawing mixed response on the North Shore. A North Shore business advocate called the act way out of line. But such an incident was bound to happen, said one member of a group of surfers and others from the community opposed to shark feeding. Police have opened an arson case after it was determined by the Honolulu Fire Department that a 30-foot boat destroyed by a blaze last Friday was intentionally set. The fire was reported at 12:40 a.m. on the boat owned by North Shore Shark Adventures, a company doing business in Hawaii for almost 10 years. Heat from the fire also damaged a nearby vessel. Damage was estimated at $225,000, and a motive for the fire has not been determined. No arrests have been made, according to Michelle Yu, spokeswoman of the Honolulu Police Department. Police are looking for witnesses. 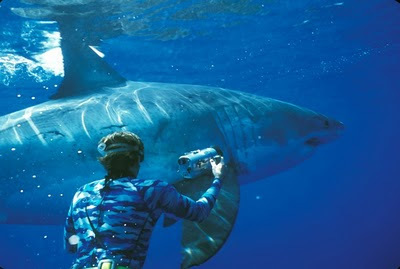 North Shore Shark Adventures and Hawaii Shark Encounters are the only shark tour companies in the state. Joe Pavsek, owner of North Shore Shark Adventures, could not be reached for comment. "Whoever did that (the fire) was way out of line," said Antya Miller, executive director of the North Shore Chamber of Commerce. There are better ways to address conflict, she said, adding that those responsible for the fire should be prosecuted. "I don't like to see our community resorting to those tactics." Haleiwa Harbormaster Paul Sensano said he was glad there were no injuries and that more vessels were not damaged in the fire. "If it wasn't for the timeliness of the Fire Department, it could've been worse," he said. Mahina Chillingworth of Hui o Hee Nalu, a North Shore group of surfers and other community members opposed to shark feeding, said she was not surprised when she heard about the intentionally set fire. "They're bringing it upon themselves," said Chillingworth, adding the shark tour businesses have hit a nerve for some. The tours have sparked controversy and frustration among some fishermen due to the lack of fish in North Shore waters because they are being eaten by sharks, Chillingworth said. Also, feeding sharks for commercial purposes is considered "total disrespect" to native Hawaiians as sharks are considered aumakua, or ancestral gods, she said. Shark tour operators have said they venture only into areas where there are already sharks. Researchers who conducted a peer-review study said the tour boats take advantage of sharks that congregate around crabbing boats that throw old bait into the ocean from their traps, a practice that has been done since the 1960s. Illegal-feeding charges, however, were made against five men last year following an investigation of the shark tour companies by federal and state organizations. A trial will be held at 10 a.m. Thursday at Wahiawa District Court for Maurice Lee Chalker Jr., Richard Bock Whyte, Nickolas Gargaro and Eric Christopher Nourrie, each charged with one count of shark feeding. Kohl William Ragragola was charged with two counts. 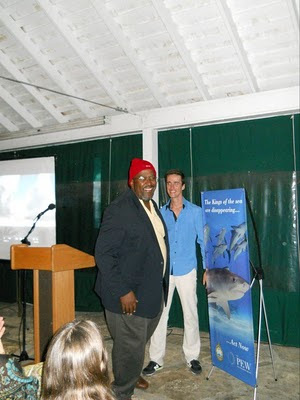 Nourrie was a deckhand with North Shore Shark Adventures and is no longer employed with the company. It is unknown for which company the other men work. Anyone with information on the boat fire is asked to call CrimeStoppers at 955-8300. Printed in the Honolulu Star Advertiser on January 14, 2011. Guam Legislature Vice Speaker Benjamin J.F. Cruz will introduce legislation to ban shark finning on Guam. This legislative effort began when Hawaii State Senator Clayton Hee lobbied the Guam legislature to introduce shark finning prohibitions. With the introduction of a shark finning ban on Guam, the legislatures of the state of Hawaii, Northern Mariana Islands, and Guam have joined together in a mutual effort to preserve the natural resources in the Pacific Ocean for generations to come. AUSTRALIA’S campaign director for Humane Society International, Michael Kennedy, has called for a nationwide ban on shark fishing. Despite steps taken in the US last week to reduce the number of sharks killed through finning - where the valuable fins of sharks are cut off and the still live shark was tossed back into the sea to die slowly of asphyxiation - Mr Kennedy said it’s not enough. Instead, he has proposed an “indefinite” ban on shark fishing. Mr Kennedy believes such a ban should stay in place until sufficient research was done to detail any fluctuation in shark populations. “I think you’ve got to be that tough,” Mr Kennedy told The Manly Daily. But Mr Kennedy, who works at the society’s Avalon-based office, applauded US President Barack Obama for signing Tuesday’s bipartisan bill requiring sharks were brought to land with their fins. This means that fewer sharks would be killed solely for their fins, because vessels holding catches would have less room to store shark fins if regulations mandate that whole sharks be landed with their fins naturally attached. Australia and most states and territories ban finning, and some require that sharks be landed with their fins naturally attached. States and territories govern their own waters, which extend to three nautical miles offshore. The Commonwealth regulates waters from three to 200 nautical miles offshore. 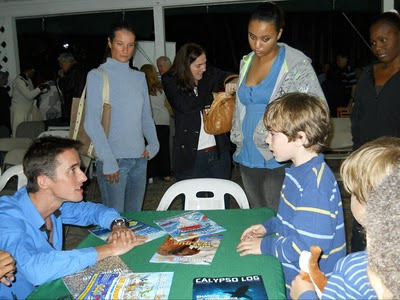 Here are a couple of videos of Pierre Yves Cousteau's recent trip in support of shark conservation in The Bahamas. Job Description: Discovery Channel is looking for a fun‐loving, fast‐swimming personality to be the first ever Chief Shark Officer for this year's Shark Week. As we circle in on our 24th year, Shark Week has captured the zeitgeist that began with Jaws and is synonymous with summer. As the CSO, you will be required to swim with sharks (accompanied by professionals, of course), attend Shark premiere parties in NY, LA and Miami (accompanied by celebrities, of course) and help spread the word about the world's most misunderstood predator. Some sharks lurking around New Zealand waters this summer are in more danger than the swimmers they scare, the National Institute of Water and Atmospheric Research (NIWA) says. The rig shark is a common sight in coastal waters, estuaries and inlets over spring and summer but is also a regular on takeaway shop menus. "Rig is most often served as the fish in fish 'n' chips. 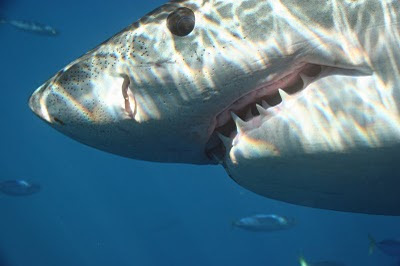 So if there's a shark beside you in the sea, it's probably in more danger than you are," Niwa fisheries principal scientist Malcolm Francis said. "Rig are a social fish... so you could find yourself surrounded by a group of friendly sharks, so friendly that if you put your hand in their mouth they don't bite back." Dr Francis' comments follow a series of shark sightings around New Zealand and subsequent warnings to steer clear of the water. Wellington maritime police yesterday cleared a popular bathing spot after a 2-1/2m hammerhead shark was spotted in the harbour. Dr Francis said rig sharks -- also known as lemon fish, spotted dogfish and smooth-hound - grow to about 1.5m and have small, distinctive white spots. They feed mainly on creatures that burrow into the sea floor, especially crabs, he said. Rig sharks live near the sea floor and are often caught in bottom set and trawl nets. The Commonwealth of the Northern Mariana Islands (CNMI) may soon become the first U.S. territory to ban shark finning, if and when the governor signs into law a bill that is now headed his way after the House of Representatives passed it without further debate yesterday. On a 17-0 vote, the House passed yesterday afternoon a House- and Senate-revised version of House minority leader Diego T. Benavente's (R-Saipan) bill seeking to prohibit any person from possessing, selling, offering for sale, trading, or distributing shark fins in the CNMI. House Bill 17-94 now heads to the governor's desk for action, and the bill's author is optimistic that it will be signed into law. “I am very happy that it's now going to the governor. I consider this a milestone legislation because it not only benefits the Commonwealth as far as putting our place on the world map in protecting sharks, but it also helps international movement to protect sharks,” Benavente said in an interview after the bill's passage. Once Benavente's bill is signed into law, it will also stop the shark fin soup trade in the CNMI. The bill underwent a few revisions until the Senate recalled it on Dec. 30 to make further clarifications. After reconsideration, the Senate passed a revised version on the same day, reflecting the concerns of international shark protection advocates as well as House members. The final revision clarifies the bill's intent to exempt possession of shark for non-commercial or subsistence purposes. Benavente said enforcement of the bill has also been tightened up, to involve the Department of Lands and Natural Resources, the Department of Public Safety, and the Office of the Attorney General. Hawaiian State Sen. Clayton Hee, author of a bill that became the strongest anti-shark finning law in the nation, has also been drumming up support for Benavente's bill. Benavente's bill is modeled after Hee's bill that became law in Hawaii on May 28 this year. Shark finning is principally responsible for the decline in shark populations worldwide. Between 80 and 100 million sharks are killed each year, which has reduced overall shark populations by an estimated 90 percent. As the Bahamas National Trust forges ahead with its fight to effect protection for sharks in The Bahamas, an internationally-renowned organization, the Pew Environment Group, has jumped on the bandwagon. BNT Executive Director Eric Carey said yesterday that this is just another move to push the government to pass legislation which will protect sharks from commercial harvesting. “The Bahamas has the most viable and intact population and diversity of shark species in the western Atlantic, and one of healthiest populations of any country in the world, and as such we want to take this opportunity to ensure that they remain healthy and they are protected in perpetuity,” Carey said. “We are looking at this campaign from two perspectives. The first is the ecological perspective, saving sharks is of great value to the ecosystem. Sharks are an important component of any ecosystem so if you save sharks you protect a healthy ecosystem. If sharks disappear from the ecosystem then you remove a top predator and you remove a key component of that ecosystem, and you starve your ecosystem, your marine environment, which spirals towards collapse. 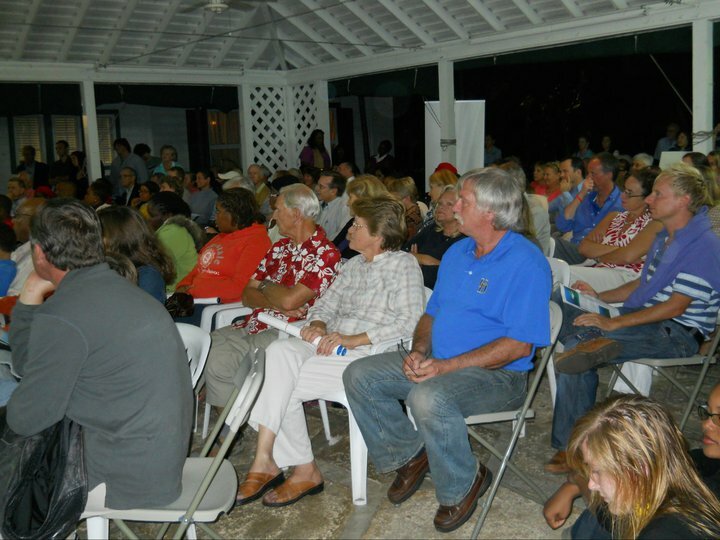 So we have a rare opportunity in The Bahamasto do conservation on a healthy population,” said Carey. The mission of the Pew Environment Group is to help protect the natural environment and the rich array of life it supports. It seeks to strengthen environmental policies and practices in ways that produce significant and measurable protection for both terrestrial and marine systems worldwide. The group’s efforts are focused on reducing the scope and severity of three major environmental problems; dramatic changes to the earth’s climate, caused by the increasing concentration of greenhouse gases in the atmosphere; the loss of large wilderness ecosystems that contain a great part of the world’s remaining biodiversity; and the destruction of the world’s oceans with a particular emphasis on global marine fisheries. Carey stressed that The Bahamas is fortunate with its shark population and is in a very good position ecologically. “We can protect the status quo and ensure that our population remains healthy,” he noted. In October the BNT formally launched its local shark conservation campaign. Carey said shark populations are in trouble globally. The relative health of the shark populations in The Bahamas has been attributed to the country’s ban on long-line fishing in the 1990s, combined with the fact that there is no incentive for local fishermen to sell shark meat. Carey explained that the growing demand for the Asian delicacy, shark fin soup, has led to the killing of up to 73 million sharks a year and is impacting shark populations worldwide, which could potentially affect The Bahamas. He believes the loss of sharks could cause irreversible damage to the ocean and to economic activities, such as dive tourism, that benefit from healthy marine habitats. “The government has the opportunity to show incredible environmental leadership, to not only the region but also the global conservation community,” Carey explained. “So far BNT has gotten a very good response from the government and a firm commitment that it would work with us to try and make this happen,” he said. Yesterday the BNT held a meeting with Minister of the Environment Earl Deveaux, and today BNT will be meeting with officials from the Ministry of Tourism. “We believe that we do have a commitment from government to make it happen. We are mounting a sustained and consistent effort to keep before them, to keep reminding them. We are trying to convince them of the opportunity they have before them to show incredible leadership globally on a conservation initiative,” Carey said. Matt Rand of Pew Environment Group explains the significance of the Shark Conservation Act recently signed by American President Barack Obama. Hawaii's initiative coming to the rescue of certain shark species is becoming noticed away from the islands, despite resistance by some countries. President Barack Obama should sign into law a prohibition against cutting off sharks' fins and discarding the finless sharks alive in the Pacific Ocean. Congressional approval of the ban comes nine months after U.S. proposals to protect hammerhead and oceanic whitetip sharks were narrowly rejected by the 175-nation Convention on International Trade in Endangered Species. 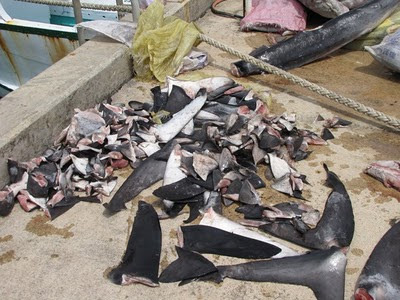 China, India and other nations benefiting from the trade in shark fins opposed the proposals. Fins sell for $300 a pound because they are a central ingredient in soups sold as an East Asian delicacy on special occasions. Some Hawaii restaurants offered the fin soups for as much as $45 a bowl, but this year's state Legislature outlawed possession of shark fins, effectively removing shark fin soups from their menus. State Sen. Clayton Hee, who sponsored the bill, traveled this month to the Northern Mariana Islands, a U.S. commonwealth, to encourage enactment of a similar legislation. "The goal, ultimately, is to stop the sale of shark fins internationally," Hee told the Saipan Tribune. "But like any journey, it's one step at a time. The Hawaii law was the first step." Owners of Chinese restaurants are complaining that they face major losses because of the congressional action. But the ban is necessary because of estimates that 73 million sharks per year are killed for their fins, resulting in a reduction in some species by as much as 80 percent since the 1970s, according to the Pew Environment Group. Sharp finning has been banned off the Atlantic Coast and in the Gulf of Mexico, resulting in expansion of the activity in the Pacific. The measure awaiting Obama's signature would prohibit ships landing in the U.S. with fins not attached to carcasses, closing gaps in a 2000 law that allow a ship to transport fins as long as the sharks are not finned aboard that vessel. It would partially exempt smooth dogfish off the coast of North Carolina, at the request of Sen. Richard Burr, R-N.C. Delegate Madeleine Z. Bordallo, D-Guam, who wrote the U.S. House version of the bill, said the exemption is acceptable because that fishery represents less than 1 percent of all U.S. shark fishing. The National Oceanic and Atmospheric Administration is now examining the effect of the North Carolina exemption but should recommend that the president sign the bill into law. "It's a priority of our agency," said Eric Schwabb of the NOAA Fisheries. The federal ban, along with land-enforced prohibitions such as that in Hawaii, should effectively bring an end to the cruel practice of robbing sharks of their fins and watching them die in the water. Shark Defenders has narrowed down our draft logos to two finalists. Thank you to the hundreds of people who voted in the first round. Now it is time to pick the winner. Visit our Facebook Page and click "LIKE" on the logo you like the best. Feel free to explain your vote in the comments section. KOROR, Palau — The shark -- feared as a bloodthirsty killer and hunted to the brink of extinction in many parts of the world -- has found a passionate champion in the tiny Pacific nation of Palau. With just one ageing patrol boat policing an area of ocean roughly the size of France, Palau says it has still managed to make significant inroads towards curbing the illegal fishing that threatens the marine predators' survival. The country declared the world's first shark sanctuary in September 2009, banning shark fishing in its exclusive economic zone, which covers almost 630,000 square kilometres (240,000 square miles) of the northern Pacific. Palau Shark Sanctuary founder Dermot Keane, an Irishman who dedicated himself to saving the animals after first visiting the archipelago in 1995, said foreign fishing vessels hunting sharks were once common in Palau waters. The trade feeds Asia's appetite for shark fin soup, a delicacy that has increased in popularity as the region's wealth has grown, putting pressure on shark populations across the globe, Keane said. Known as finning, it involves hacking the fins off captured sharks then throwing their bodies back into the sea to die. "When I first came here, there were 50 or 60 shark boats working the waters," Keane told AFP. "They had shark fins hanging from the rigging. "Not only was it visually offensive for someone who came here as a tourist to scuba dive, the smell was pretty awful too. The sight of shark fins laid out to dry on the boats was not a positive image for Palau." The Pew Environment Group estimates up to 73 million sharks are killed annually for their fins, which fetch up to 100 US dollars a kilogram on the black market. It says sharks are slow to reproduce, making them unsuitable for commercial fishing. Keane, who now helps run a diving business after moving to Palau permanently in 1997, said that as top predators, sharks had a vital ecological role and the country was determined to protect the 130 species found in its waters. "We're seeing less and less of the pelagic (deep water) sharks," he said. "With their removal an unbalanced food chain results, changing the way the natural environment functions." The Irishman began campaigning to halt finning in the late 1990s and hit upon the idea of a shark sanctuary after finding that many members of the public found gruesome images of mutilated sharks too confrontational. "It was very much a blood and guts message of showing people pictures of sharks and fins and trying to explain what was going on," he said. "At the same time, through my work, I was trying to promote Palau as a tourist destination and I was concerned I was working against myself. "So I started looking for a way to save sharks which was positive, and that's how I arrived at the idea." Keane admitted there was initially scepticism about offering protection to a predator many seafaring communities regard not only as a deadly threat to their own lives, but also as competition for fish stocks. "At first, if you were to press the locals about whether they were for or against it (shark finning), most of them, even though they weren't directly involved in it, would say 'never mind the sharks, they take our fish'." Since then, attitudes have changed in the nation of about 21,000 people, making it one of the world's leading advocates for shark preservation. President Johnson Toribiong has repeatedly raised the plight of sharks at the United Nations, citing studies that show the predators have far greater value as tourist attractions than as a commercial catch. "The need to protect sharks outweighs the need to enjoy a bowl of soup," Toribiong said on the sanctuary's first anniversary. "These creatures are being slaughtered and are at the brink of extinction unless we take positive action to protect them." While resources to police the sanctuary are scarce, Thomas Tutii from Palau's Marine Law Enforcement Division said foreign vessels were getting the message and there had been no finning arrests for more than a year. "We can't completely stop illegal shark fishing but the declaration has been effective," he said. "We haven't seen shark fins on board the foreign fishing vessels and they seem to be complying and they are more conscious that they're not allowed to fish for shark." Palau's move to protect its sharks has prompted other nations, including the Maldives and Honduras, to establish similar sanctuaries. Richard Brooks, an underwater photographer in Palau, said the sanctuary had helped educate the public that the misunderstood creatures should be respected, not feared. "They're a natural part of the eco-system and removing any part of the eco-system, it will change and it will have a domino effect," he said. "They are actually more scared of humans, than we are of them." 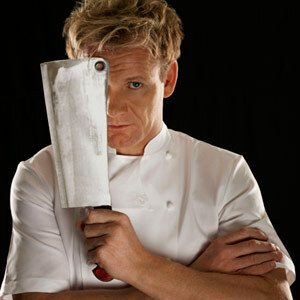 Celebrity chef Gordon Ramsay was doused in petrol and held at gunpoint as he tried to uncover the dark world of illegal shark fin trading for a new TV show. The Hell's Kitchen star was shooting scenes for Big Fish Fight when he confronted gangsters in Costa Rica who had slaughtered thousands of sharks to sell their sought-after fins. But Ramsay was left terrified when the gang kept their guns trained on him and his TV crew before throwing fuel over him. He was later advised by local police to flee the country for his own safety. The chef tells the Daily Mail, "It's a multibillion-dollar industry, completely unregulated. We traced some of the biggest culprits to Costa Rica. These gangs operate from places like forts, with barbed-wire and gun towers. "At one, I managed to shake off the people keeping us away, ran up some stairs to a rooftop and looked down to see thousands of fins, drying on rooftops for as far as the eye could see. When I got back downstairs, they tipped a barrel of petrol over me. "Back at the wharf, there were people pointing rifles at us to stop us filming. A van pulled up and these seedy characters made us stand against a wall. The police came and advised us to leave the country. They said, 'If you set one foot in there, they'll shoot you.'" Large, oceangoing commercial fish like tuna and swordfish have been in steady decline for years, victims of poor regulation and rapacious overfishing by big industrial fleets. But one relentlessly hunted fish — sharks — may finally be catching a break. Each year, commercial and recreational fishing kills more than 100 million sharks globally (the number of humans killed by sharks in 2008: four). Of these, an estimated 73 million are slaughtered solely for their fins to provide the shark fin soup that is so popular in Asia. The fins are sliced off and the sharks dumped back in the water; unable to swim, they sink to the bottom and die. A 2000 law banned finning off the Atlantic Coast and in the Gulf of Mexico. Last month, Congress approved a bill prohibiting shark finning in all United States waters. It requires boats to bring sharks to port with the fins attached. This limits each vessel’s catch, since a whole shark takes up a lot more room than the fins alone. The bill’s immediate impact on the global market will be modest. But it gives the United States credibility to push other big fishing nations to follow its lead. In November, an international commission banned fishing for whitetip sharks and six types of hammerheads. True to form, the commission waited until the fish were at death’s door before acting. The whitetips have declined by 99 percent in the Gulf of Mexico and the Mediterranean, and hammerheads by 99 percent in the Mediterranean. Sharks have been around for 400 million years, and as top predators in the food chain have played an important role in the complex web of ocean life. Fully one-third of about 1,000 shark and ray species are thought to be in serious trouble or nearing extinction. Any help they can get is good news for the entire ecosystem. Published online and in print January 3, 2011.